At last count, more than 600,000 of Myanmar’s Muslim Rohingya minority had fled the country for Bangladesh. Ever since Rohingya militants attacked Myanmar police outposts, resulting in a dozen deaths in August 2017, Myanmar security forces have begun a campaign of ethnic cleansing. They have burnt down hundreds of Rohingya villages, and murdered, raped, and beheaded the Rohingya they have encountered. 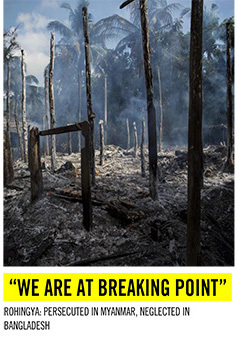 What has driven Myanmar security forces to engage in this act of ethnic cleansing? Do they fail to recognize the inherent humanity of their victims, or do their acts represent an excess of morality, morality that can be satisfied only by punishing a fellow human? What’s the motive that spurs on this violence? A popular explanation for horrific violence is that perpetrators see victims as little more than animals or objects, and so they feel little remorse in abusing, torturing, or killing them because it is easier to hurt an animal or break an object than it is to hurt a human being. 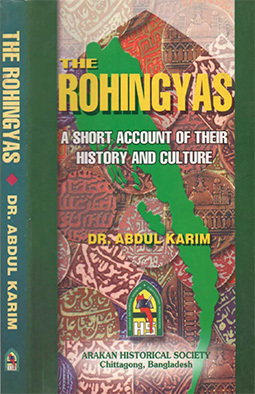 This process of dehumanization has been invoked to explain acts of violence ranging from the Holocaust and the prisoner abuses at Abu Ghraib to the ethnic violence against the Rohingya people. However, our recent research suggests that this explanation is mistaken. After all, the failure to recognize someone’s humanity predicts indifference toward their welfare, not an active desire and delight in bringing about their suffering. To understand the active desire to cause pain and suffering in another person, we have to look to a counterintuitive source: human morality.As we show in the aforementioned research, published in the Proceedings of the National Academy of Sciences in 2017, dehumanization allows us to commit instrumental violence, wherein people do not desire to harm victims, but knowingly harm them anyway in order to achieve some other objective (imagine shooting a stranger in order to steal his wallet). However, dehumanization does not cause us to commit moral violence, where people actively desire to harm victims who deserve it (imagine shooting your cheating spouse). We find that moral violence merges only when perpetrators see victims as capable of thinking, experiencing sensations and having moral emotions. In other words, when perpetrators perceive their victims as human. We also conducted experiments in which we asked people to imagine harming someone either for money or as punishment for an immoral act. In one experiment, we found that participants expressed less support for breaking someone’s thumb for $1 million when the person was described using humanizing language (eg, “John is ambitious and imaginative, but also high-strung and insecure”), just as dehumanization theories predict. However, the use of humanizing language did not change support for breaking the thumb of a pimp who recruits young women into prostitution. In another experiment, we found that, after imagining pricking someone’s finger for $10, people saw the person they harmed as less human, again supporting theories that people dehumanize their victims to ease guilt over harming them. In contrast, we found that imagining pricking someone’s finger as punishment for immoral behavior did not change their perception of the person’s humanity. In a few cases, we even found that participants justify harming evildoers by seeing the person they harmed as more human. Does that mean that there is no role for dehumanization in violence? Absolutely not. The indifference caused by dehumanization is what enables so many people to look away and do nothing while horrible atrocities occur. 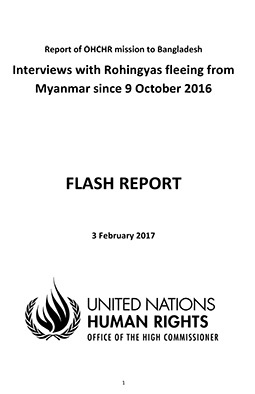 Every time Myanmar’s leader, Aung San Suu Kyi, fails to condemn the atrocities committed by Myanmar’s security forces, or questions whether they have even occurred, the effects of the dehumanization of minorities is clear. Dehumanization may not cause Myanmar’s security forces to kill, but it does enable the rest of us to stand aside and do nothing. This article was originally published by Aeon, a digital magazine for ideas and culture. Follow them on Twitter at@aeonmag.